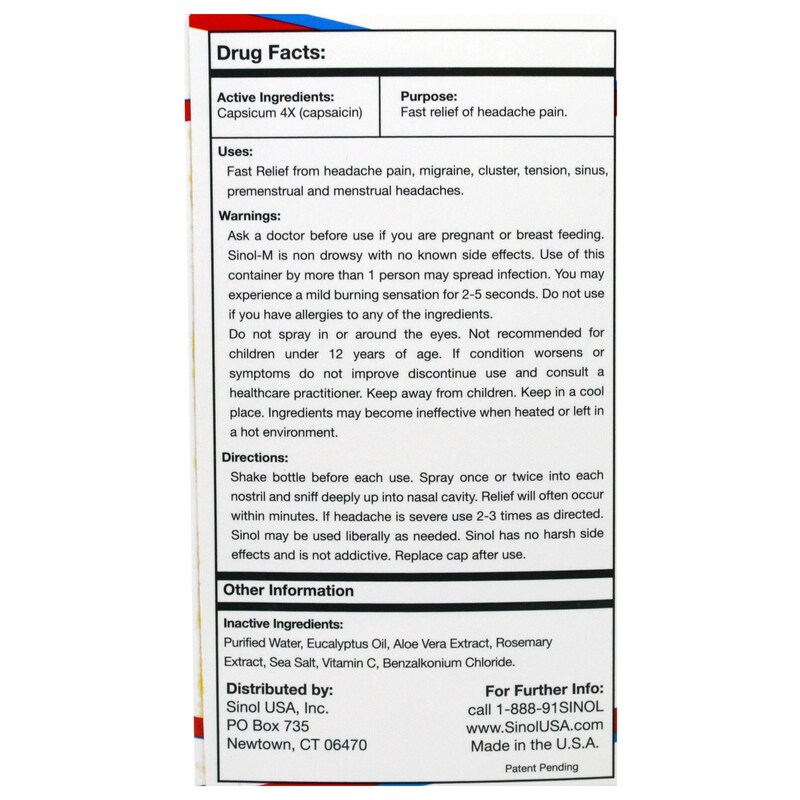 Uses: Fast relief from headache pain, migraine, cluster, tension, sinus, premenstrual and menstrual headaches. Shake bottle before each use. Spray once or twice into each nostril and sniff deeply up into nasal cavity. Relief will often occur within minutes. If headache is severe use 2-3 times as directed. Sinol may be used liberally as needed. 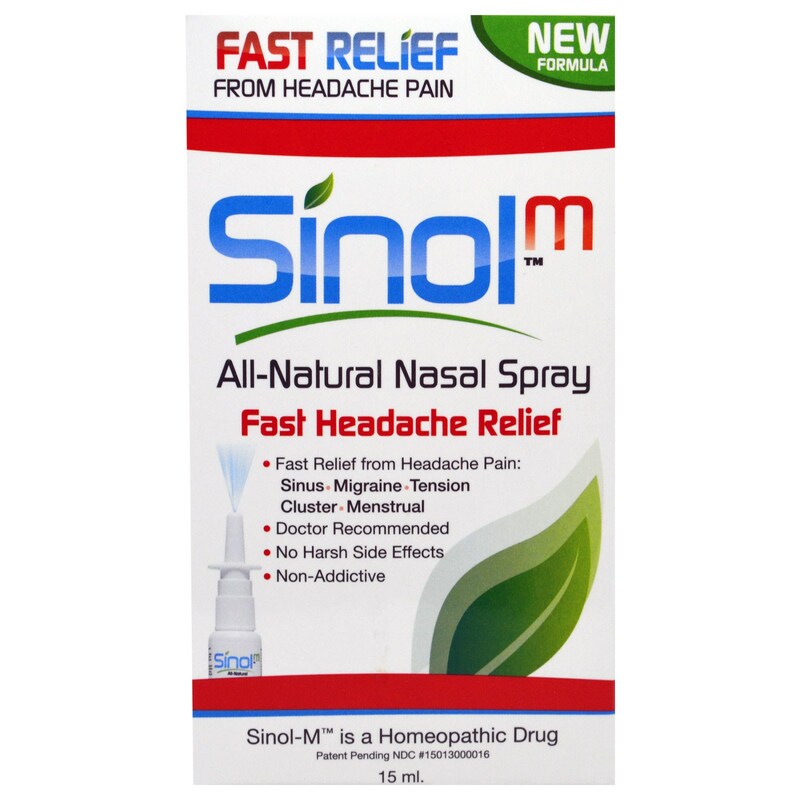 Sinol has no harsh side effects and is not additive. Replace cap after use. Inactive Ingredients: Purified Water, Eucalyptus Oil, Aloe Vera Extract, Rosemary Extract, Sea Salt, Vitamin C, Benzalkonium Chloride. Ask a doctor before use if you are pregnant or breast feeding. 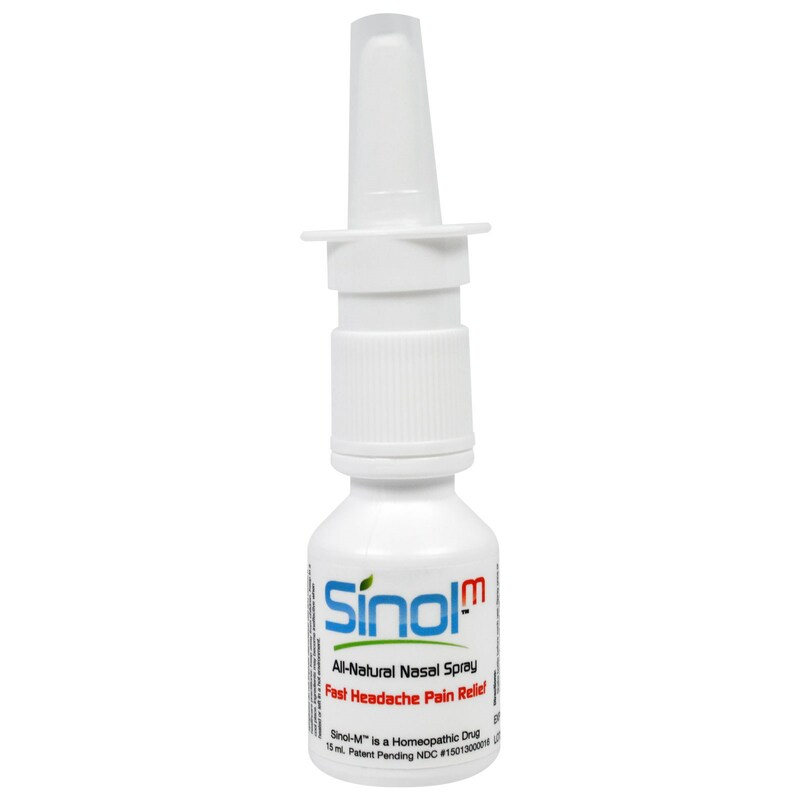 Sinol-M is non drowsy with no known side effects. Use of this container by more than 1 person may spread infection. You may experience a mild burning sensation for 2-5 seconds. Do not use if you have allergies to any of the ingredients. Do not spray in or around the eyes. Not recommended for children under 12 years of age. If condition worsens or symptoms do not improve discontinue use and consult a healthcare practitioner. Keep away from children. Keep in a cool place. Ingredients may become ineffective when heated or left in a hot environment.